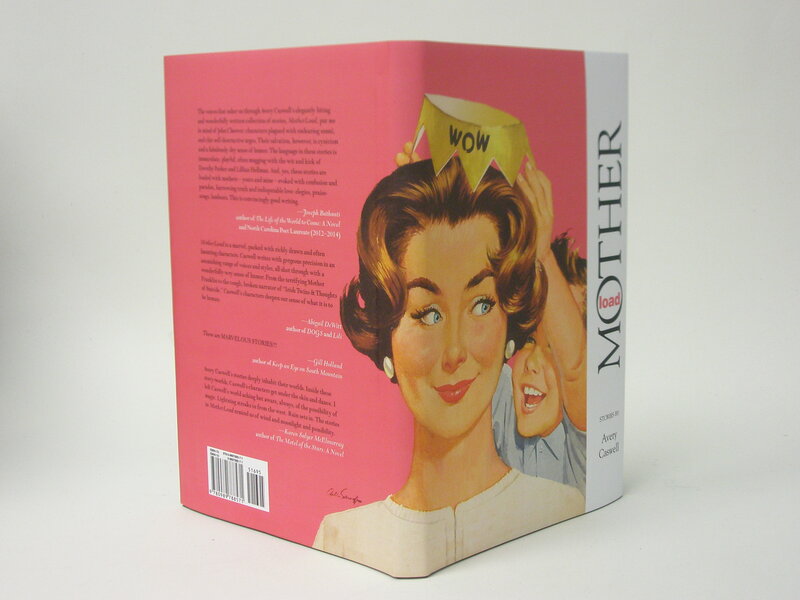 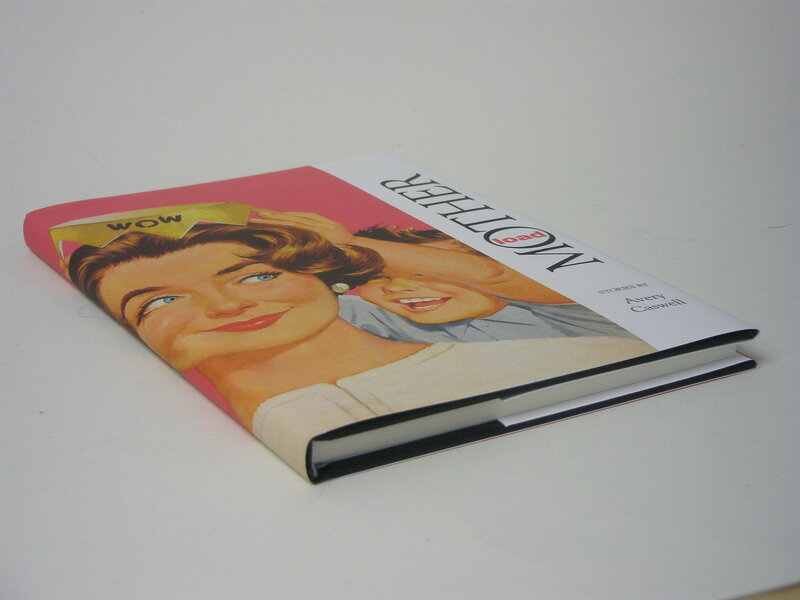 "MotherLoad" is a hardcover cloth casebound book with a matte laminated dust jacket. 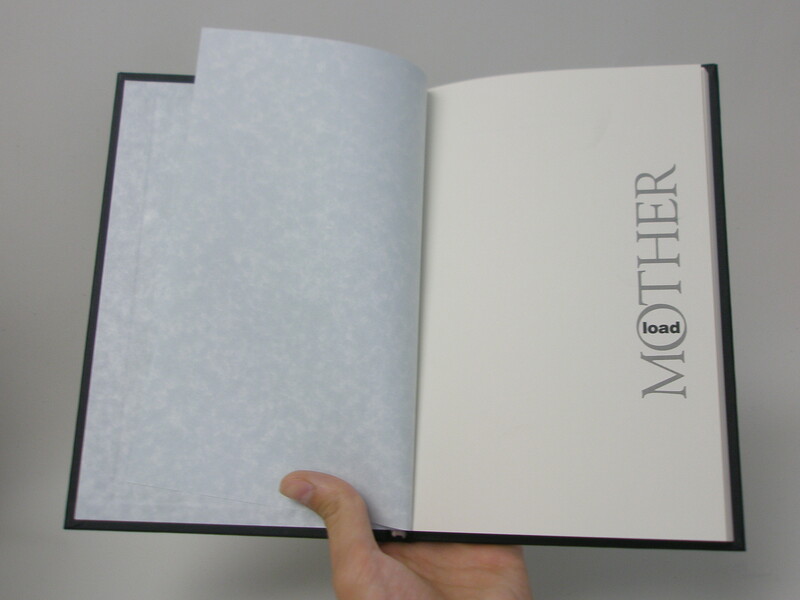 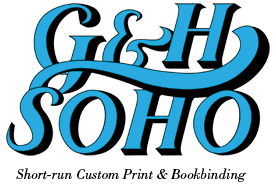 The title and authors name are foil stamped on the front cover in silver foil, and the book employs custom endsheets. 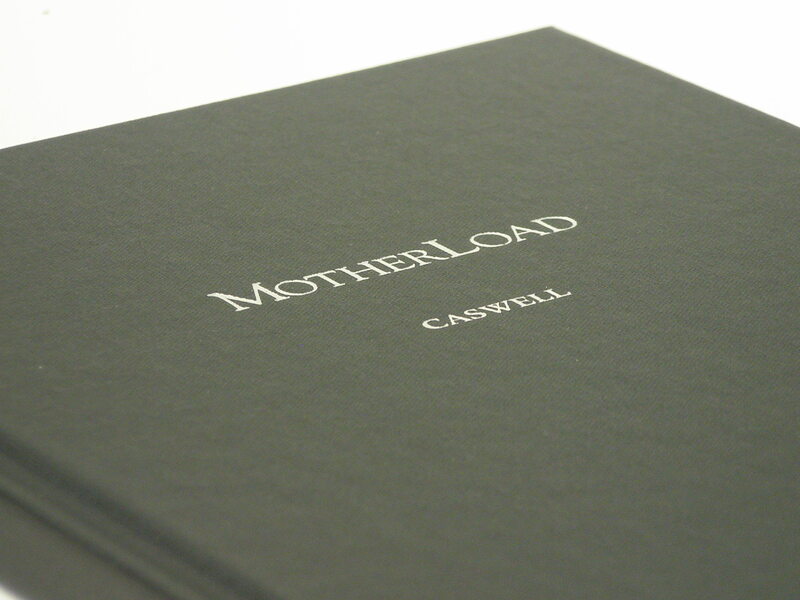 "MotherLoad" is a great example of our casebinding abilities.